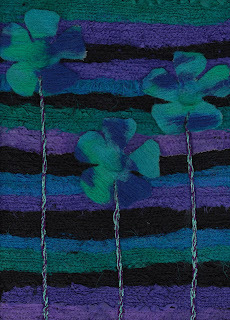 I recently bought a Janome embellisher and signed up for a course with Dale Rollerson through the Thread Studio. I haven't had as much time to work on the course as I would have liked but I've finally finished Lessons 1 & 2. And this is my Lesson 2 challenge piece. 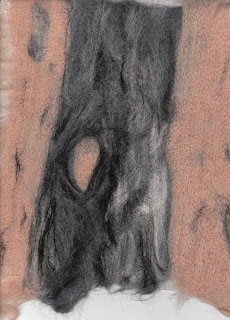 It is a representation of scribbly bark. I would like to hand or machine embroider the 'scribbles' onto it but that will have to wait.